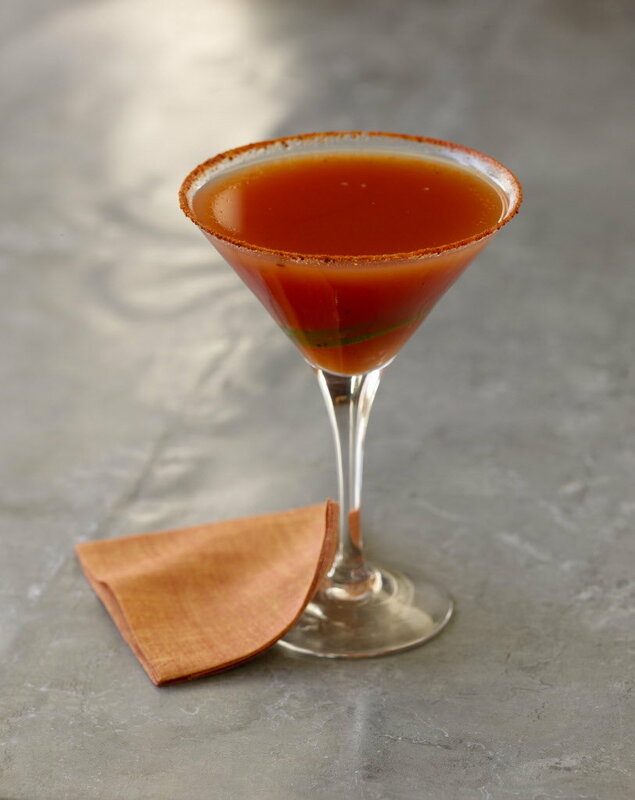 Fill a glass with ice and add the vodka, vermouth, tomato juice, lime juice, salt and smoked paprika. Stir vigorously until the outside of the glass is beaded with sweat and frosty. On a small plate, combine the 1/4 teaspoon salt, 1/4 teaspoon smoked paprika and the sugar. Wet the rim of a chilled martini glass with the 1/4 teaspoon lime juice and dip the rim in the salt mixture. Tap off any excess. Strain the drink into the martini glass and garnish with the lime twist.